The SPEEDY is a lightweight belt, made with mesh fabric which is light and breathable. It has a small pocket attached to the rear, with a reflective strip (where you can put your cellphone, keys,…). It has two leg straps for distributing the tension when being pulled. 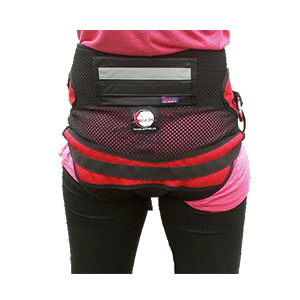 A functional and fashionable look, useful for skijoring, canicross and dog-trekking.